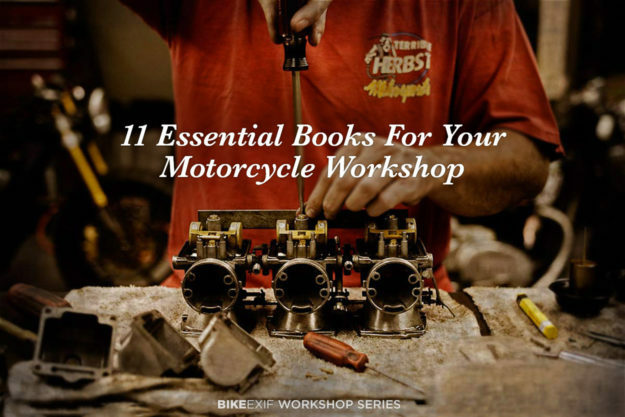 If you live in a major city, there are probably motorcycle workshop classes near you. But what if you can’t get to a class—or prefer to figure things out in your own garage or shed? This new series on motorcycle building is designed to help you. Every couple of weeks, we’ll have a how-to article on the skills, tools or techniques you need to build a bike to the lofty standards you see on these pages. Even if you have zero base knowledge, you’ll have the information to get started. Your guide is Matt McLeod, who has been riding and tinkering with motorcycles since his late teens. He started Krank Engineering to help keen amateurs build bikes to pro level, with engineering design, machining, fabrication and welding services. His education is in mechanical engineering, and he’s also qualified in TIG welding. To kick off, Matt’s picked out 11 books he considers essential for the workshop. They may not be pretty enough for the coffee table, but knowledge is power—and these are the books he himself refers to more than any others. 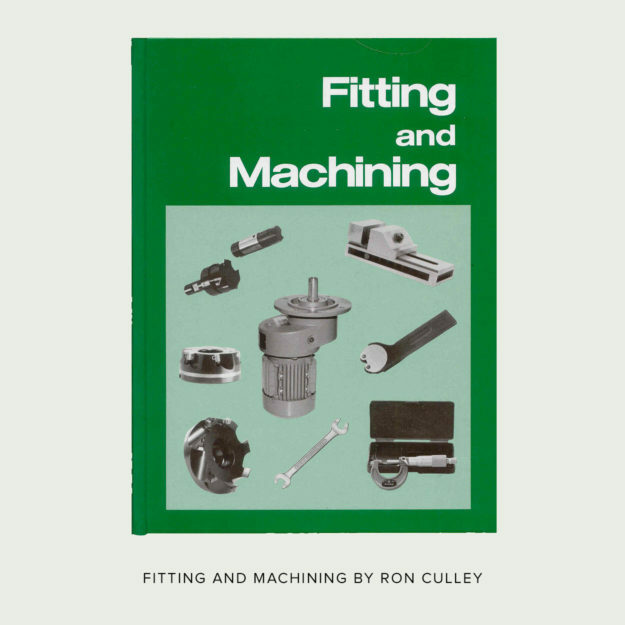 Fitting and Machining by Ron Culley Possibly my most used reference book in the workshop. I bought mine for shop classes we took when I was studying mechanical engineering in the early 1990s. It is written and published in Australia, and its intended audience is metalworking students. It explains concepts clearly, with drawings on virtually every page. 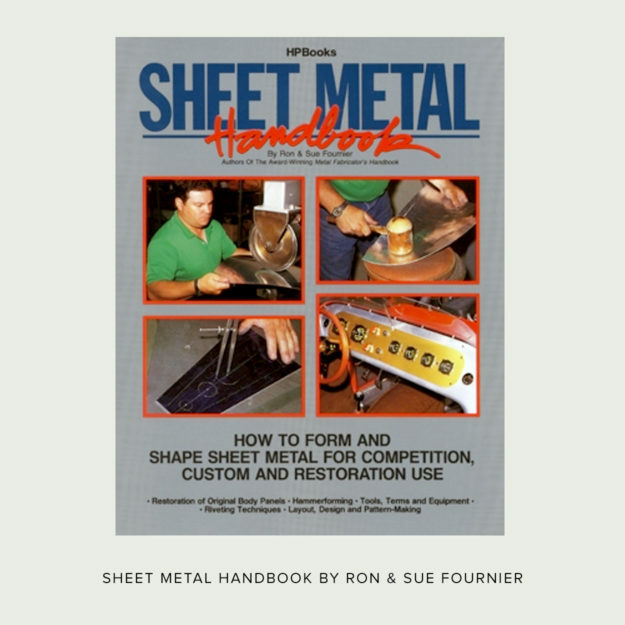 I love this large format hardcover book: It covers both hand and machine tools and associated metalworking processes over 640 pages. It’s a massive tome and the learnings inside are a bargain at the asking price. Incredibly this is one of the few books you can’t find on Amazon. It is definitely available new through a few Australian retailers (such as Machinery House). You might find one used via eBay from an Australian seller. 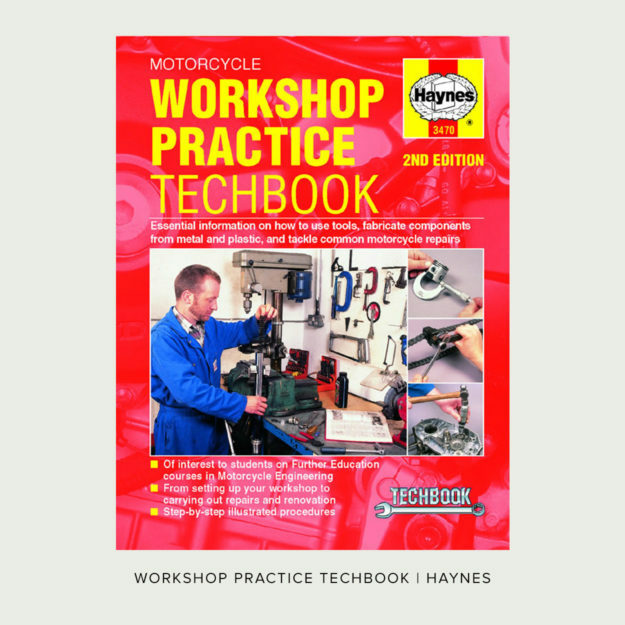 Highly recommended if you are starting out in metalworking for your motorcycle. No ISBN is printed on mine. 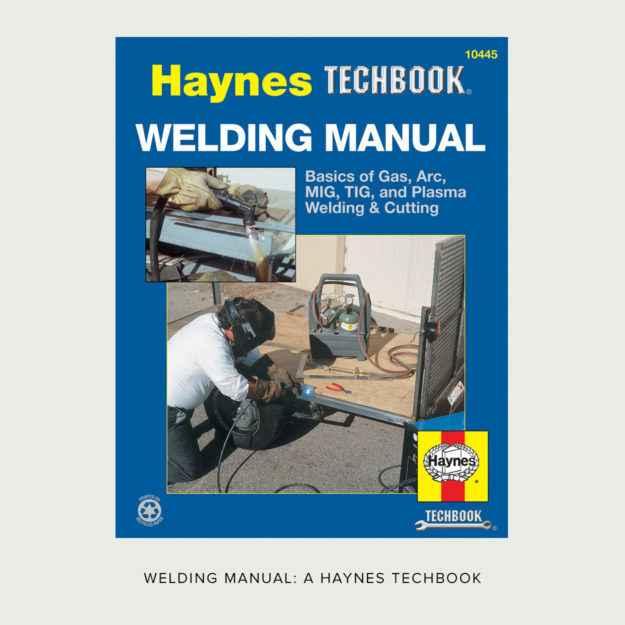 Welding Manual: A Haynes Techbook I can’t remember where or why I bought this book, but it is extremely well written, explains concepts clearly, and I found I referred to it constantly while I was teaching myself to weld. 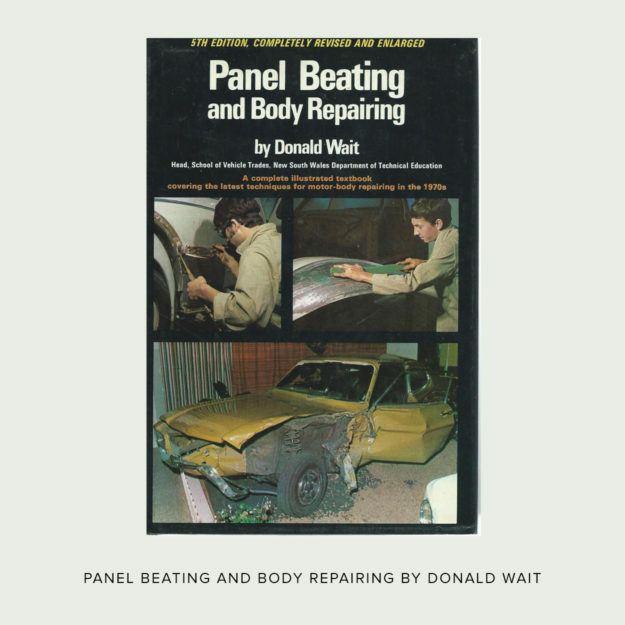 Again, if you can go to a school to learn how to weld, then do—otherwise, get this book from Amazon. 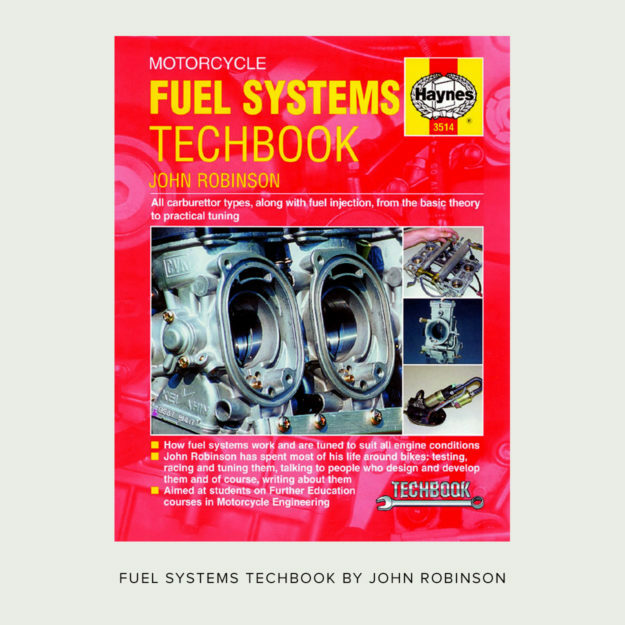 Motorcycle Fuel Systems Techbook by John Robinson Having found the Haynes Welding Manual so good, I felt comfortable buying their Fuel Systems Techbook, and I’m glad I did. 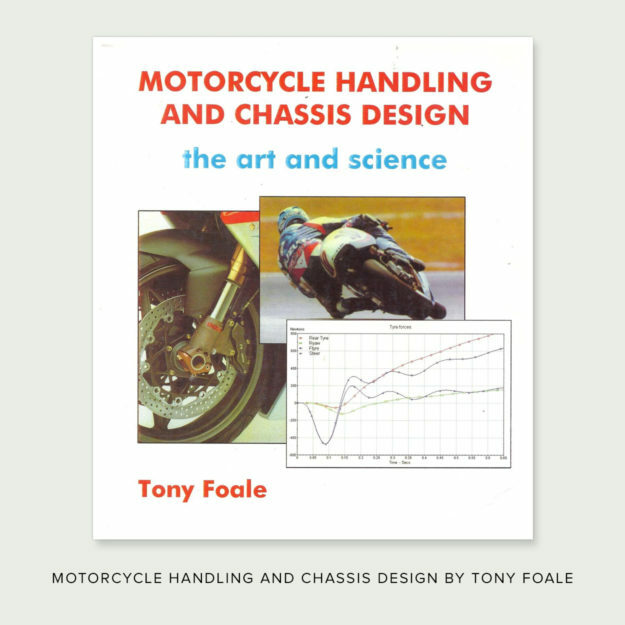 Motorcycle Handling and Chassis Design by Tony Foale Tony is (in my opinion) a legend in the field of chassis design. He seems to have been working on making bikes handle since before most of us were born. There are lots of free articles on his website and these prompted me to buy his book many years ago. However, be warned: This book is heavy on engineering math. It’s an incredibly interesting read, but it’s better if you understand the math. On top of that, at current prices of around $150 it’s expensive. But I would consider it essential if you’re interested in building your own frame. Mine is the 2002 edition, but Amazon has the later 2006 edition. 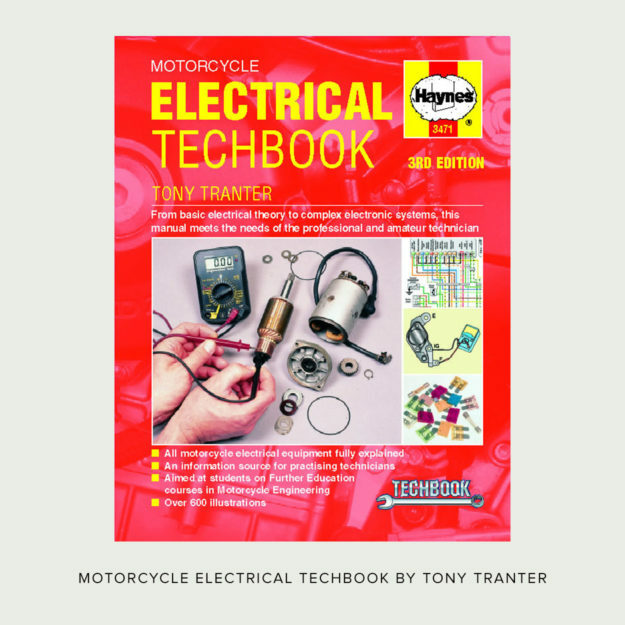 Motorcycle Electrical Techbook by Tony Tranter This one is pretty heavy on detail and technical explanations. 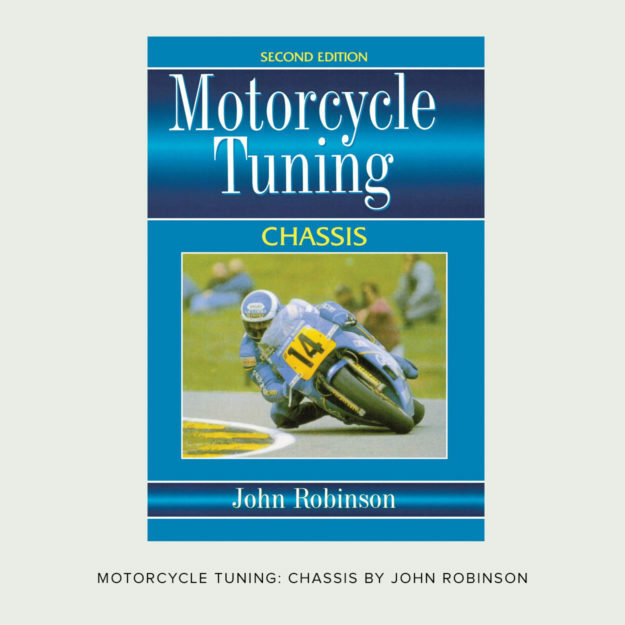 It also covers early model electrical systems AND a lot of later-model systems (which may be of no interest to the average customizer who is chopping up an older bike). 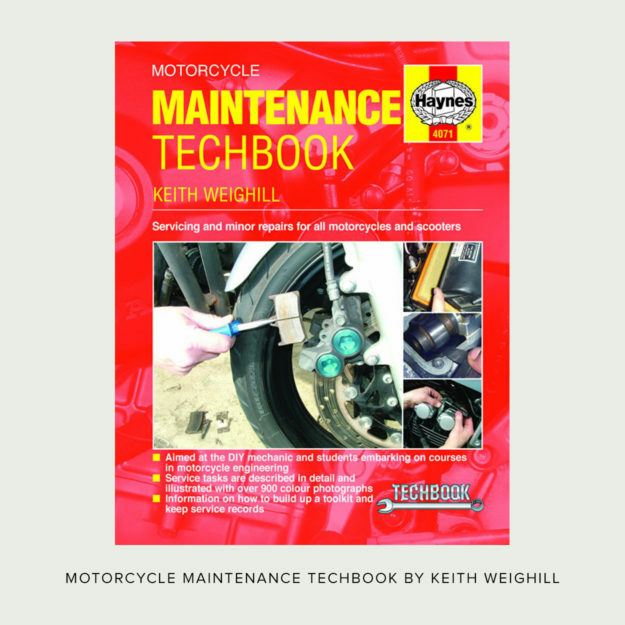 Since the target audience is motorcycle technicians it probably hits the mark. I would definitely consider it an asset to my shop library, but my engineering training included a couple of years of electrical/electronics so I found it a great refresher. Without some high school math/physics/chemistry (at least), the descriptions might be tough to follow. 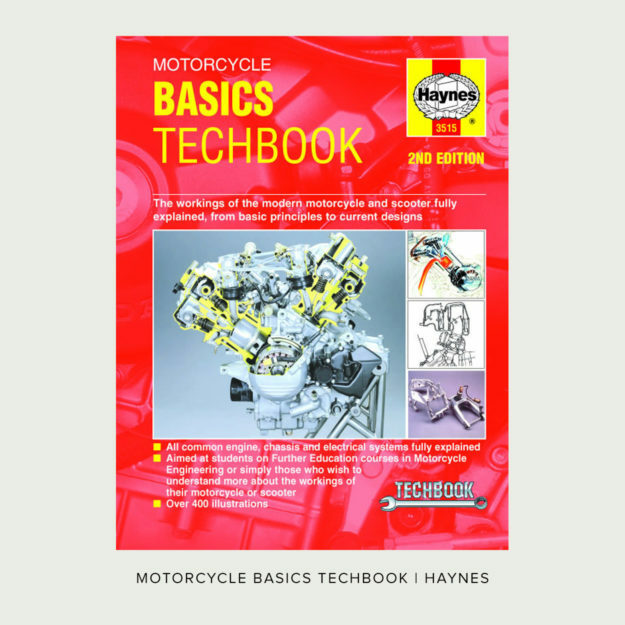 Other useful additions Based on my experience with the Haynes Techbooks listed above, I would have no hesitation in recommending the rest of the series. If you bought these, you would have a solid set of reference material to help your custom motorcycle project. Header image courtesy of Classified Moto. If you’ve got any other recommendations to help new bike builders, sound off in the comments below.